Mixed media pencil and black fine-liner edited on photoshop. This is the final editorial piece for my contemporary illustration unit. The brief was given in the form of an email; similar to one that might be received from an agent. The task was to create a cover for the supplement, How to Write a Book in 30 Days, within The Literary Review magazine. 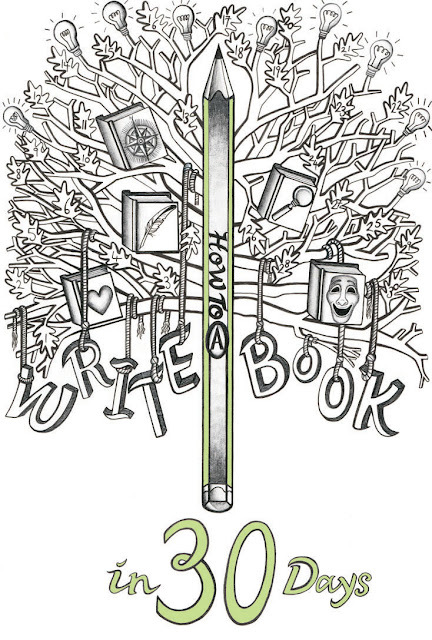 The supplement describes a structured method for writing a book, aiming to encourage readers to become writers. Inspired by the step-by-step element of the supplement, I began to think about how one idea has the potential to evolve into a story, which can be signified through an acorn growing into a great oak tree. Putting my own spin on this idea, I transformed the trunk of the tree into a pencil. I am very happy with the hand-rendered text, something I have struggled with in the past, which adds interest and a playful element to the illustration. To improve this design I would add a subtle background colour to enhance the detail and remove the unnecessary black outline from the words in 30 days.